Interest in the top reasons to visit Barbados may have risen in recent years thanks to pop star Rihanna. But this country definitely does not need to lean on her shoulders to be a prominent tourism destination. Barbados is a beautiful island located in the western area of the North Atlantic, neighboring Saint Vincent and the Grenadines, Trinidad and Tobago as well as Venezuela. It sports inclined terrains with some coastal limestone cliffs. And in the west, the land forms terraces. But what really is appealing about its geology is the fact that a large portion of the island is surrounded by coral reefs. The weather between June to November may be quite unreliable since it is the wet season. But this should not diminish what you get to see and experience in this place. And in spite of being densely populated, the Bahamas is one of the Caribbean’s leading tourist destinations, with a human development index of 0.825. One of the top reasons to visit Barbados is its wildlife. Sure, the beaches are an added bonus. But what’s really appealing about this piece of paradise is that it hosts four different species of turtles – loggerheads, leatherbacks, green and hawksbill – and they all nest within its coastlines. Some even say that Barbados has the second largest hawksbill population breeding in their area. 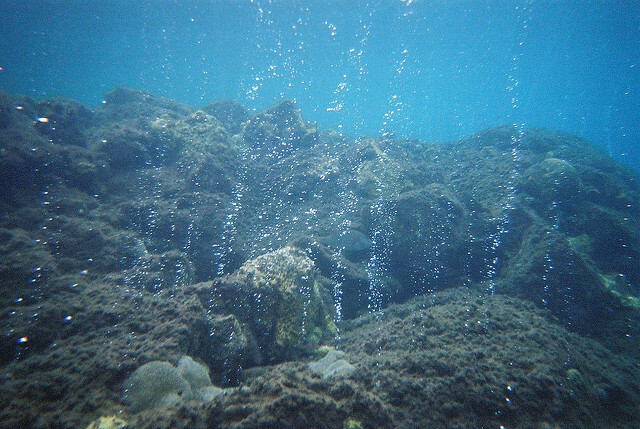 And then of course, there are its coral reefs which make up for a fun snorkeling and diving experience. And as an added bonus, there are also sunken ships within the surrounding seas that curious parties could check out with expert guides. Juju Beach is among the most popular of the country’s coastline since it does have a turtle reef close to shore as well as numerous kiosks ready to provide guests with comfort and equipment. But Sandy Lane, Crane and Accra also extend great beachfronts for you and your company to enjoy. Next up on the top reasons to visit Barbados is, of course, it’s historically relevant landmarks – starting with the George Washington House. This unassuming relic from the past was actually the first place the first U.S. president visited overseas back 1751. Now take note, Barbados was also the only country George Washington traveled to outside the United States, so it’s a pretty important remembrance of that time. And then, there’s the Barbados Museum and Historical Society, the Morgan Lewis Windmill and the Bussa Emancipation Statue, which represented the slave rebellion. Those who wish to explore the country’s geography are welcome to hike up Mount Hillaby, Barbados’ highest point. Or they could just swing by Andromeda Gardens in the village of Bathsheba in Saint Joseph and have a quick stroll around the fern, flower and tree dominated highlight. There are plenty of accommodation options across the island, but Colony Club Barbados is one of the best and offers plenty of amenities to enjoy. The small Caribbean island of Antigua lies near the centre of the Caribbean chain sandwiched between St Kitts and Nevis, Montserrat and Guadeloupe. Once an important station for the British Navy it has many historical and cultural attractions, as well as the natural ones such as beaches, rainforests and reefs. There’s plenty of special offers in Antigua to make the most of, and once there, here’s a list of the most popular attractions in Antigua. 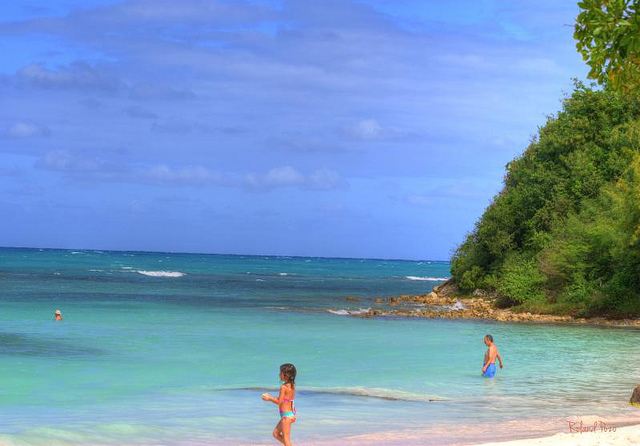 Antigua is home to 365 beaches, one for each day of the year. Some are perfect for lazing on the sugar white sand, others are better for activities including snorkelling and windsurfing or walks and romantic picnics. Some of the best are the five secluded Hawksbill Beaches, quieter than the popular Dickenson Bay, but still with plenty of facilities. They are ideal for swimming or snorkelling on the reefs further out. From here you can also take a boat out the uninhabited Prickly Pear Island. Other than its beaches one of the most famous attraction on the island is Nelson’s Dockyard and English Harbour – a UNESCO World Heritage Site, and shadow of British Navy’s influence in Antigua. In the middle stands the restored Georgian naval dockyard once the home of the British fleet during the Napoleonic Wars. The Dockyard Museum is well worth a look to learn about the history of the area. While the exterior of the island is full of idyllic beaches, old English forts and naval bases, the interior is filled with lush emerald green rainforest, home to many types of birdlife. The best way to see the interior is on a hike or nature trail, of which there are many around the island. Another great way is to go on a rainforest zipline canopy tour over the treetops. Situated on the island’s northeastern point, Devil’s Bridge sits within one of the island’s four national parks – Indian Town Point. Devil’s Bridge is a natural rock bridge which was created by waves and surf pounding it over centuries and provides a spectacular sight surrounded by blowholes and wild surf. There are many hiking trails nearby, as well as excellent picnic spots. One of the best is to Long Bay, which is also great for snorkelling. It’s not only the island that has attractions here though as the views under the waves are just as popular. A trip to Antigua can’t be complete without a spot of snorkelling or diving to see them. There are four main types of coral reefs around the island – barrier, bank barrier, patch and fringing, which are home to a vast array of species, from sea turtles to clown and angel fish, manta rays, lobsters and lionfish. The reds, oranges and purples of the coral gardens can be viewed both snorkelling right off the beaches or on an organised scuba trip further out. One of the best places for snorkelling and diving is the Cades Reef on the southwestern part of the island. Grande-Terre Island is the name given to the eastern half of Guadeloupe Island (with the other half known as Basse-Terre). It is the home of most of Guadeloupe’s tourist resorts and farmlands, due to its beautiful land and coastline. If you you’re only visiting Grande-Terre Island for a day trip however, what attractions can you see to keep busy? For people that want to spend the day relaxing and enjoying marine life, Aquarium de la Guadeloupe is an excellent choice. With its variety of marine life, visitors can enjoy seeing everything from crabs to sharks. Daily snorkelling tours are also available, so visitors can experience the beauty of marine life first-hand, with a biologist and diving instructor. If you want to take full advantage of all inclusive long haul holidays, visiting the fortress in Bas-du-Fort is a must. Built between 1759 and 1763, the fortress can be found on the hillside behind a deep moat. The fortress is well-known for its battles between the French and English in 1794, and visitors can learn everything they need to about the battles and fortress history through guided tours. If you want to see a true labour of love, you must take the time to visit the Musée Camelia Costumes et Traditions. The private collection, owned by a retired English teacher named Camelia Bausivoir, includes examples of the dress of different societies through the ages. You can see baptism outfits, madras headdresses, colonial pith helmets, and much more. For tourists that enjoy visiting religious sites, Cathédrale de St-Pierre et St-Paul is a must. Built in 1807, the cathedral has Creole-style balconies and stained windows that give it a dramatic effect. Since it was battered by hurricanes, it is under renovation and supported by ribs and pillars. If you have a strong love for French culture and literature, visiting the Musée St-John Perse is sure to please. The museum is dedicated to Alexis Léger (better known as Saint-John Perse), a famous poet. In fact, in 1960, he won the Nobel Prize for literature. Most of his best work was inspired by his love for Guadeloupe. Le Gosier is a popular place for many tourists due to its shops, nightclubs, rental car agencies, and its casino. Although it simply used to serve as a stopping place between Pointe-à-Pitre and Ste-Anne, it is now one of the most popular tourist attractions. Aside from Gosier, St-François is another area fast growing in popularity with tourists. In fact, it is believed that St-François is quickly overtaking Gosier as being the most fashionable and luxurious resort area. The area includes hotels, restaurants, bars, shops, golfing, and a casino. 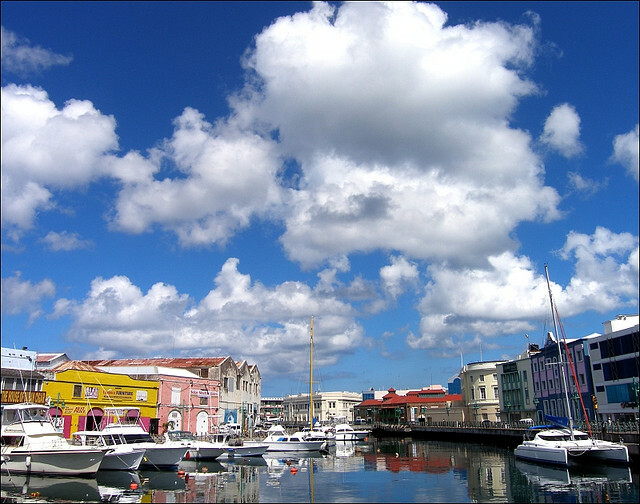 With so much to see and do in Grande-Terre, any tourist can enjoy a wonderful day trip. Alex Norman loves living under the stars. An avid traveller, he loves to write about a variety of topics that revolve around the great outdoors. For many, snorkeling in the Caribbean’s crystalline turquoise waters and swimming with some of the world’s most fascinating underwater wildlife encompasses the perfect getaway. However, as there are so many incredible snorkeling spots offering a myriad of marine wildlife, choosing where to go can often cause more stress than bliss. Contrary to popular opinion that snorkeling in the Caribbean can equate to a small fortune, the opportunities are varied and feasible for everyone regardless of budget. Simply by ducking your head under a breaking wave along a sandy beach in Antigua will immerse swimmers an exciting underwater world predominantly occupied by dozens of rainbow fish, turtles and other sea life. Depending on budget, the opportunities are endless and the Caribbean has so much to offer. To find out more click here. As the majority of the best, unmissable spots in the Caribbean are only accessible by boat, there are numerous snorkeling boat trips across the Caribbean. Regularly taking small groups on a day’s extravagant underwater adventure, tourists are able to explore tropical reefs and inlets. This is particularly popular around the inlets of Tobago Cays or the US Virgin Islands due to the idyllic waters, stunning scenery and exotic wildlife. Here are 5 of the best places for snorkeling in the Caribbean. There are many aspects of the Virgin Islands that allure the many thousands of keen swimmers to snorkel along its shores. As the temperature averages around 80 degrees all year round, visitors can take pleasure in St. John’s coral reefs, surrounding themselves with sea urchins, sea turtles and even sharks whilst happily splashing around in the immaculate and clear waters. 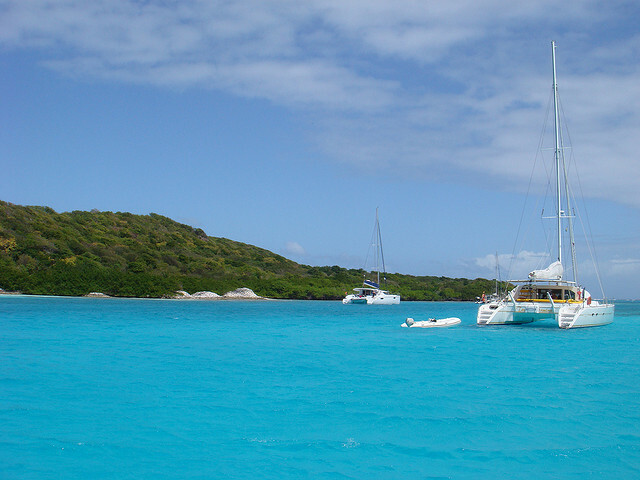 Throughout St. John, there are numerous spots to snorkel and enjoy an incredible underwater environment. 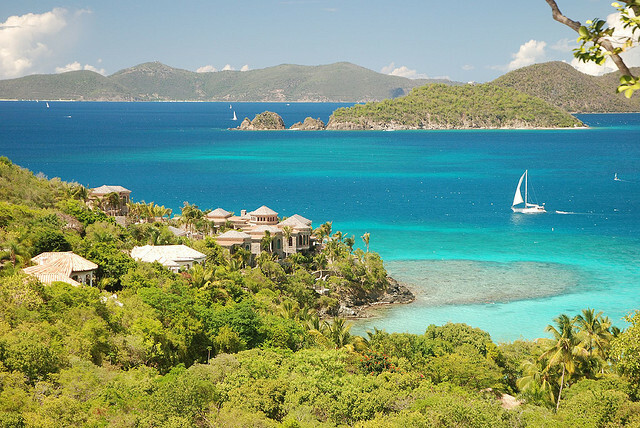 Swimmers can snorkel among the three species of sea turtles or the beautiful parrotfish at Cinnamon Bay. Known as ‘an island in the stream’ the black coral gardens of Bimini are accessible from the beach and attract multitudes of marine wildlife. Only 50 miles from the Florida coast, the coral reef thrives thanks to the Gulf Stream moving northwards bringing with it pods of dolphins, Manta Rays and countless numbers of sea turtles. Consisting of two islands, Bimini boasts some of the most pristine beaches in the world and is also home to the S.S Sapona, a concrete ship that ran aground during a hurricane in 1926. Said to be one of the best wrecks in the Caribbean, the Sapona has become a habitat of its own and is home to many species of marine wildlife. Aptly named due to the bubbles of air that effervesce from the seafloor, Champagne is extremely popular. Well known for its seahorses and frogfish, Champagne is a snorkeling paradise and is guaranteed to be a highlight of any trip spent snorkeling in the Caribbean. Other wildlife often includes lobsters and even squid attracted by Champagne’s colorful coral and the bubbles of warm air. Day trips are regularly organized to Champagne’s reefs and are highly recommended as the guide’s are extremely knowledgeable about the area. A truly unique spectacle, the sculpture gardens of Grenada are a wonderful sight and can be seen by divers, those in glass bottom boats and those snorkeling. Underwater sculptures by the artist include a circle of children holding hands, a person sitting at a desk using a typewriter and a table with a bowl of fruit and vase. 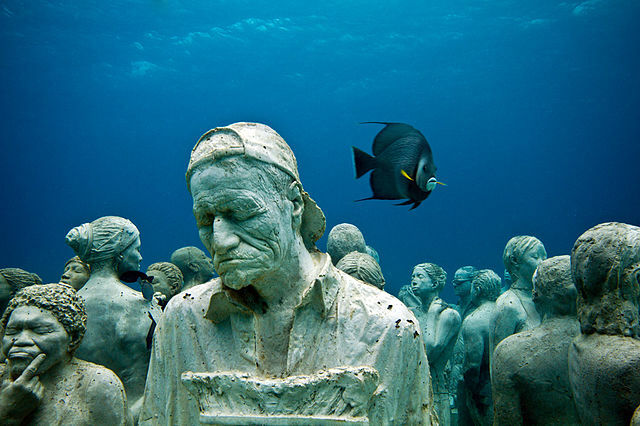 Designed by British artist Jason De Caires Taylor, there are a total of 65 sculptures anchored to the seafloor creating a strange underwater gallery. It is fascinating to see the coral growth around the sculptures and how the marine wildlife has incorporated it into their habitat. Accessible only by boat, the Cays are entirely uninhabited by people to the extent that it is forbidden by law to build structures there in an attempt to preserve the wildlife. Since the introduction of the marine park an abundance of marine creatures have made it their home. Allowing visitors to snorkel with turtles, eagle rays and a multitude of reef fish, Taboo Cays is renowned for being one of the best places for snorkeling in the Caribbean.